Israeli investigators say interrogation of suspected murderer points to terrorism as the motive behind brutal killing of Israeli teen. An Israeli teenager found brutally murdered in a Jerusalem forest last week was apparently the victim of a terrorist attack, Israeli investigators said Sunday evening. The Shin Bet internal security agency said Sunday night that based on statements made by the terrorist during interrogation, authorities now believe that the motives for the murder were nationalistic. “During the course of his interrogation, [the terrorist] reenacted the murder for Shin Bet and police interrogators, and clearly tied himself to the incident,” the Shin Bet said. 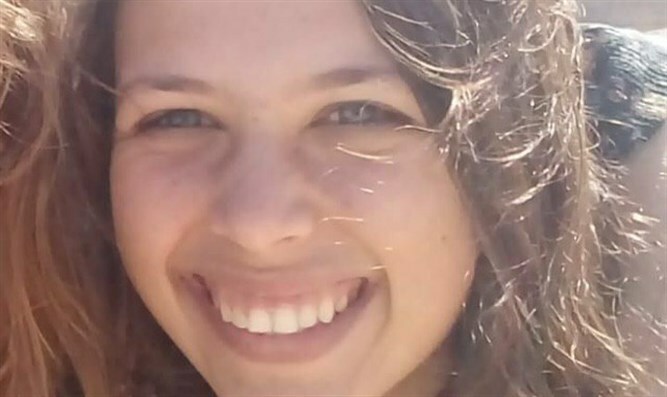 Last Thursday night, 19-year-old Tekoa native Ori Ansbacher’s remains were found in the Ein Yael forest, near the Biblical Zoo in southern Jerusalem. Police found signs of violence on Ansbacher’s body, suggesting she had been assaulted, then stabbed to death. Over the weekend, authorities announced that a 29-year-old Palestinian Arab, Arafat Arafiah, was arrested in El Bireh, near Ramallah, in connection with Ansbacher’s murder. Arafiah later confessed to the murder, and reenacted it for police. According to a report by the Shin Bet, which has cleared few details of the case for publication, last week, Arafiah left Hevron with a knife in his possession. After having reached southern Jerusalem, he spotted Ansbacher in the forest. Ansbacher had apparently left a youth center where she had worked following an argument, seeking some time alone. Arafiah spotted Ansbacher in the forest, and murdered her there, before fleeing.